The Department of Media Arts provides a broad range of learning experiences at the graduate level, and awards two distinct Masters degrees, including the Master of Fine Arts and the Master of Arts. The Master of Fine Arts program in Documentary Production and Studies is a 3-year terminal degree program. It is one of the few in the nation that focuses on documentary, and the only program of its kind in the region. It emphasizes the scholarly and research study of the documentary form, with a strong production emphasis. 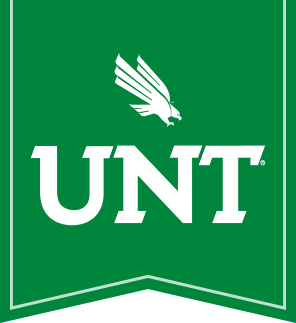 Documentary MFA students take intensive coursework in research, producing, cinematography, post production, location audio, and complete multiple documentary projects during their tenure at UNT. Coursework in documentary history, theory, genres, global technology and media consumption trends, international tendencies and other academic areas support and add to the production emphasis. An internship is required and study/research abroad is strongly encouraged. The MFA degree culiminates in a major documentary thesis production, accompanied by a substantial written thesis. This rigorous paper examines the thesis production experience, integrates theory and media ethics approaches, analyzes appropriate funding and distribution opportunities and other areas appropriate to this capstone experience. The Department of Media Arts has placed a strong commitment on current high definition technologies in digital cinema. Graduate students have access to a wide variety of designated cameras, rigs, lenses, audio equipment and post production platforms. We have courses designed to encourage individual, single-author documentary media productions, as well as larger crewed productions. Alumni of this program have gone onto careers in documentary producing, directing, cinematography, sound, postproduction, broadcast management, social media platform design and management, international distribution, international production, free-lance producers and documentary photography. Other graduates currently hold tenured, tenure-track and multi-year faculty appointments and faculty artist positions at prestigious universities nationwide. The Master of Arts degree is awarded in two areas of emphasis: Critical-Cultural Studies and Industry Studies. Each of these programs is comprised of two years of course work and culminates in either a written thesis, comprehensive exams, or a capstone course. The Critical-Cultural Studies area of the department employs working methods drawn from the humanities focusing on the study of cinema, television, and new media. This program encourages students to critically engage with current debates in historical, ideological, and cultural discourses and produce high quality academic writing on chosen topics. Students in this area examine media culture in relation to topics such as race, class, gender, sexuality, audiences/fandom, technocultures, social media, cultural history, globalization, convergence, and production cultures. The Critical-Cultural studies area is designed for students who wish to develop their critical thinking and writing skills with a view to either proceeding to a PhD, or increasing their professional skills. The Industry Studies area of the department encompasses managerial, technological, economic, political, and social dynamics of various media. The goal of the industry studies emphasis at the graduate level is to prepare students for professional and academic careers in management and media research. It is designed for students with interests in media management, economics, entrepreneurship, law and regulation and programming, as well as new media, and audience research. This program prepares students for a PhD program or advanced media industry positions.